Another textile art piece finished. The second version of the city of Halifax floating above the fog as seen from the Dartmouth shore. In this one, there is more of a sense of the fog shrouding the city. In this piece I let the photography speak more than I have in previous works. 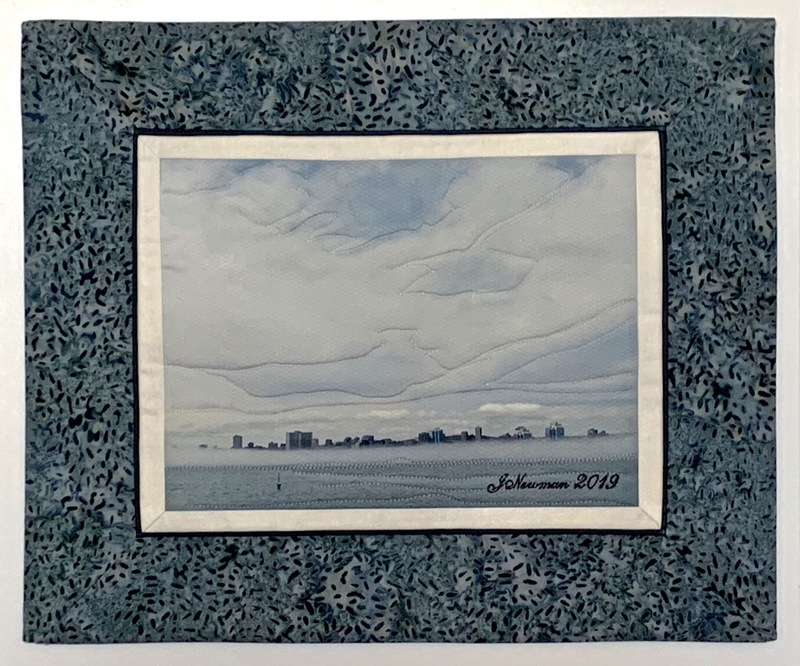 I thought the overall movement of the clouds and the sea/sky balance worked as it was so I didn’t cut this image printed on fabric into smaller elements to situate them within an appliqué background. This image, with a small amount of thread painting stands alone. I’ve come up with another pair of images that I’m going to compile into a piece. These photos were taken in the fall of 2007 when David Lacey (a NS landscape painter) and I were spending a day taking landscape pictures. David took the photo of me not on this particular country road but on another close by. What draws me to this roadway is its gentle curving from mid-left to bottom right and the sun/shadow balance and the farmland in the distance. 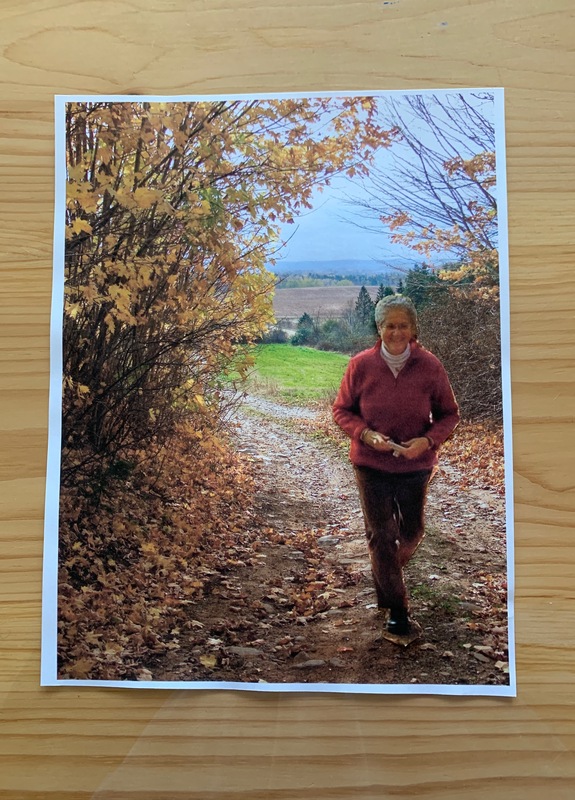 David’s photo of me, taking care to position it correctly, will make the sun on my back fit into the shadows in this landscape. I don’t know yet to what extent I will use the background photo printed on fabric or whether I will piece the background. More and more my photography seems to want to speak out.